Version of the WP240 product with GSM radio modem option. All the same functionalities of the Web PLC but with the possibility of permanent connection to the Internet using GPRS technology. 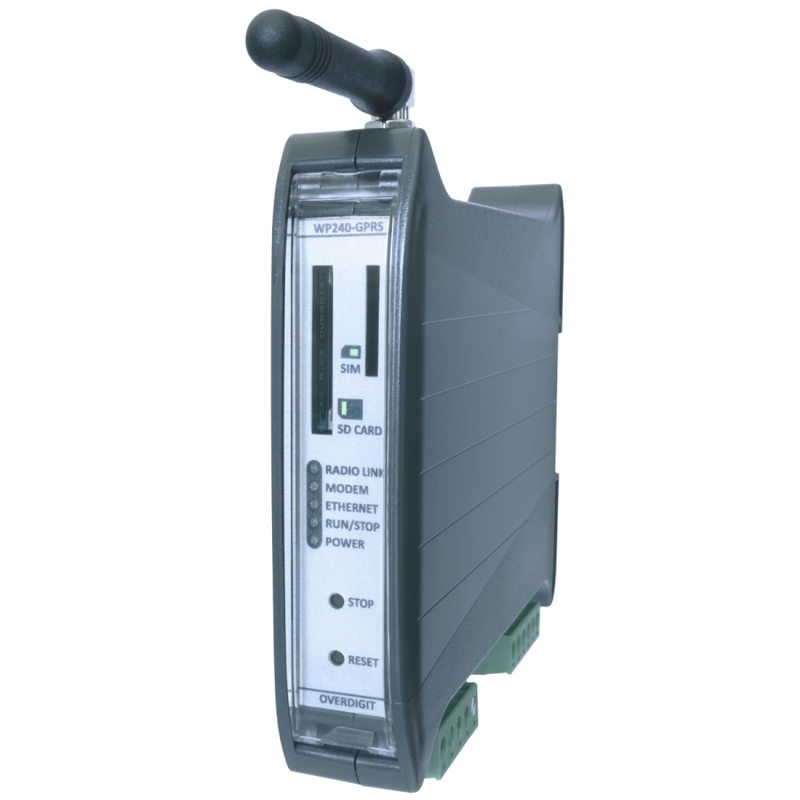 Suitable for all applications that require E-mail, SMS and telemetry where is not available a network connection by cable.